As metal music and especially extreme metal was able to take roots only with phase delay in Eastern Europe compared to the West, it took even more time for it's show up in Russia. 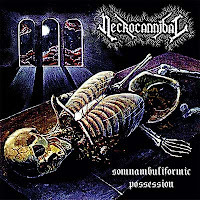 Necrocannibal was one of the first bands on the local extreme field, and such as most of the other few similar projects of those times, they shortly disappeared too after their one and only album. 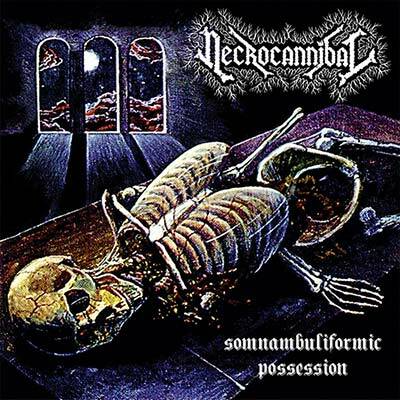 The other thing is why Necrocannibal is important on the side of sowing the seeds of death in Russian metal is, that their music was more original amongst the few others. That means they were not like an ordinary local copy band of any bigger names of the genre like for instance Graveside or Mortem was. They played typical thrash hammering-based old school death metal with intense themes, and short, catchy solos. The growling style is pretty sick and appreciably increases the level of enjoyment. Even though "Somnambuliformic Possession" came a bit late, it's typically one of those death metal classics that are hard to get tired of, and could be enjoyable for long term in their simple, catchy, headbanger-compatible form.